Want to find the best PCIe SSDs for your gaming rig? First, we will describe the different types of SSDs on the market and the technologies they use. With that information in mind, we will then review the best PCIe SSDs on the market in 2017. These reviews will cover descriptions of manufacturer-specific technology, details on performance, and memory cost per GB. Finally, there will be a list of specifications for you to look over and compare. If you want to just get to the reviews, just scroll on down to the Buyer’s Guide section. For those who want in-depth details on what makes SSDs (Solid State Drives) better than HDDs, read on. In the next section, we’ll learn how a Hard Disk Drive works to have a basis to work from when reviewing the SSDs. This will help when comparing best PCIe SSD performance. The hard disk drive (HDD) is a mechanical device that uses electromagnetic signals to store data on one or more spinning disks. Its main components are the platter, where the data is stored, the motor that drives the platter, an actuator arm that contains the read and write heads, the controller, and the hardware interface. The interface is usually SATA, IDE, or possibly SCSI(SAS). When you want to store something in memory, the data to be stored travels through the interface to the controller. The controller processes the request, dispatching the data to the write heads, which use electromagnetic pulses to write the bits of data to disk. This data is stored of this disk until you need it again or it is erased. If you retrieve some data from the hard drive, such as a document file, a request for that document’s data is sent through the interface to the hard drive’s controller, which tells the read heads where to find that data and retrieve it. When the data is found, it is sent back through the controller and you see the document displayed on your monitor. The speed with which your hard drive is able to read and write data to its disks is a significant performance factor. The moving parts in a hard drive wear over time, causing the hard drive to fail. There are two basic types of failure: mechanical and logical. Mechanical failure occurs when the drive bearings wear out, or the head crashes into the platter surface.Head crashes are most often caused by dropping or bumping the PC. Logical failure occurs when the stored data is corrupted or lost. Under normal use, a hard drive lasts about four years. Currently, under normal use, an SSD can last up to ten years. Those moving parts put a strict constraint on how fast you can read and write data. Each step of the process takes a little time. Seek time is the time it takes for the hard drive head to move from one random track on a platter to another. Rotational latency is how long it takes the data in a track to reach the hard drive head. Inside the HDD itself, seek time and rotational latency add up, limiting the number of reads and writes it can perform per second. Another measure of performance is IOPS (Input/Output Operations Per Second). Serious PC performance enthusiasts often look for the highest IOPS when looking for a hard drive, but this performance factor is only part of the overall performance profile. Hard drive performance has improved significantly over the last several years, with more capacity and faster speeds–up to 10k rpm for retail consumer hard drives. However, consumer hard drive performance cannot even get close to that of SSDs. A solid-state drive (SSD) uses NAND flash technology to store data, along with sophisticated technology to make them fast. Let’s take a look at why they are a major improvement over HDDs. With a detailed understanding of how SSDs are built and operate, you will be well-prepared to find the best PCIe SSD for your needs. The hardware interface determines which expansion slot the SSD fits into. 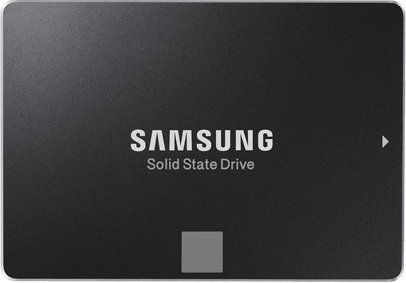 Currently, SSDs are manufactured with two hardware interfaces: SATA and PCIe. The other two interfaces, NVMe and M.2, are interface protocols that must be supported by the BIOS. If your BIOS doesn’t support NVe or M.2, it won’t see your SSD, and you won’t be able to boot from it. The last thing you want is to purchase the best PCIe SSD for your gaming system, only to find you can’t boot up. A SSD uses NAND flash memory to store data. This type of memory is non-volatile, storing data even when the device is turned off. New NAND flash technology has entered the market, so it is necessary to understand the differences between the technologies when searching for the best PCIe SSD for your gaming rig. This design uses a silicon nitride film to store electrons instead of the doped polycrystalline silicon found in the floating gate structure. CTF saves manufacturers money by reducing the number of steps required to form a charge storage node and by making smaller chip size possible. Furthermore, CTF also allows multiple bits of data to be stored in a single memory cell, with improved reliability. Finally, there is a higher yield while manufacturing because the charge trap is less susceptible to defects. Another advantage of CTF is that it doesn’t degrade over time like floating gate memory. CTF has been a boon for manufacturers because it substantially reduces manufacturing costs while greatly improving SSD performance and longevity. Over the next few years, we can expect to see 3D NAND memory supplant the older 2D NAND in SSDs, which is good to know if you’re looking to invest in the best PCIe SSD down the road. The controller, sometimes called the Flash Storage Processor (FSP) manages all requests to SSD memory. To improve performance and longevity, the controller uses overprovisioning to reserve a certain amount of memory to use during operation. How overprovisioning works is complex and beyond the scope of this article. However, if you would like to learn more about overprovisioning, here is a geektastic PDF provided by Samsung titled Overprovisioning. While the Samsung document was written for data centers, it also applies to consumer SSDs, providing in-depth details on how overprovisioning works. Another trick in the controller bag is wear leveling, where writes are evenly distributed to all physical blocks of memory. Wear leveling was utilized with the older floating gate NAND because the individual memory cells experienced wear with every bit of data written to or erased from it. Wear leveling is also complex and covered in the linked document above from Samsung. Having said all that, the newer 3D NAND memory, with its charge trap flash, is immune to the wear experienced with floating gate NAND memory. However, over provisioning is still utilized with 3D NAND allowing the user to optimize performance of their SSD. Controller specs and performance can have an impact on what you decide is the best PCIe SSD for your PC. Like other hardware components, SSDs have overhead. Part of that overhead is the information protocol being used. This is determined by the type of SSD you have. For example, if you have a SATA III SSD, it uses the SATA III information protocol. If you have a NVMe SSD, then it uses the NVMe information protocol, and so on. Another part of SSD overhead is 8b/10b encoding, a process that converts 8-bit data to 10-bit symbols for improved performance. This is a gross over-simplification, but if you’re just dying to dive into electrical engineering, you can read all about it here. For specific application in SSDs, read here. When combined, the information protocol and 8b/10b encoding account for roughly half of the bandwidth overhead, although there is some variation, depending upon manufacturer and SSD type, along with more recent improvements in 3D NAND memory. Overprovisioning is a major part of the overall performance of a solid state drive, and it’s worth keeping in mind when purchasing the best PCIe SSD for your gaming PC. When you’re thinking about the best PCIe SSD for your gaming system, it is important to know a couple things before making that purchase: your motherboard’s expansion slot types and what your BIOS supports. First, a look at the different types of expansion slots available on motherboards. SATA was originally designed as a computer bus interface that connected host bus adapters to mass storage devices such as HDDs and optical drives. When it first came out, it had several advantages over PATA (Parallel ATA). It was cheaper to manufacture and improved performance by allowing higher data transfer rates. SATA worked well for many years, but SSDs quickly developed capabilities well beyond what SATA had to offer. SATA could transmit only a single bit of data at a time. With HDDs, this worked fine, but SSDs were held back by this limitation. 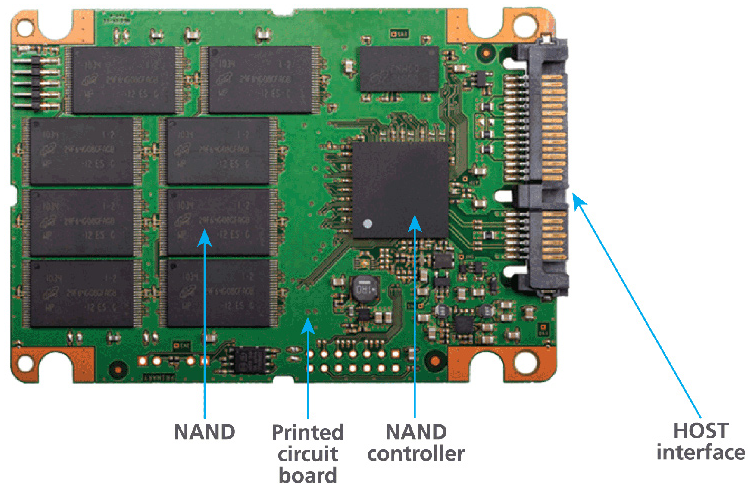 SATA still exists because it was easier to design SSDs with hardware interfaces that fit SATA connectors than it would have been to design new hardware. This is a high-speed bus expansion standard with improved throughput, a much lower i/o pin count, and smaller footprint on the motherboard when compared with the older standard. PCIe also outperforms SATA by a wide margin, making it the hardware interface of choice for high-performance SSDs. With a PCIe3.0 x4 slot, you can improve SSD performance by a factor of about 10x. This hasn’t been lost on the manufacturers, either–all high performance SSDs are using the PCIe slot for top performance. It isn’t just about the slot you intend to use, though–you also have to know what your BIOS will support. Part of knowing what the best PCIe SSD is for your gaming rig involves knowing what you can run on your PC. NVMe is an interface protocol developed specifically for SSDs to run in third generation PCIe expansion slots. NVMe addresses the limitations of the SATA bus. Some of the biggest improvements NVMe delivers are requiring a single message for 4kb transfers instead of two, and the ability to process multiple queues, although the improved performance in the latter is less noticeable in consumer PCs. Currently, the biggest issue with this protocol is BIOS support. If you are looking at NVMe SSDs, be sure to check your PC for BIOS support. If BIOS doesn’t support NVMe, you won’t be able to boot from an NVMe SSD. Nobody likes finding the best PCIe SSD for their system, only to discover it won’t boot. You should be aware that most motherboards will disable the last two SATA connections when using a m.2 PCIe SSD. Like NVMe, M.2 is an interface protocol. Formerly known as the Next Generation Form Factor (NGFF), it replaces the mSATA standard. This is a sophisticated physical specification with advanced interfacing features that allow it to work with PCIe 3.0 (up to x4), SATA III, and USB3.0. The PCIe is a physical interface, while the SATA III and USB3.0 are logical interfaces. The M.2 standard also supports NVMe as a logical interface, for the NVMe PCIe SSDs. Now that we have covered all the technical details you need to consider when buying the best PCIe SSD for your PC, it’s time to take a look at the buyer’s guide. There aren’t a lot of brands and models on the market yet, but that will likely change this year. With more manufacturers entering the SSD market with 3D NAND memory, we will soon see a much greater selection. Along with that, we will continue to see prices drop, as the manufacturing process is improved and there is more competition. Let’s dive in and take a look to see which is the best PCIe SSD for you! The name of this category says it all! Top-notch features and performance define the qualifiers, and currently, Samsung is the lone contender. This may not last long, given that other manufacturers are developing their own premium consumer SSDs. It’s going to be interesting to see who emerges as direct competition for Samsung’s flagship 960 PRO. 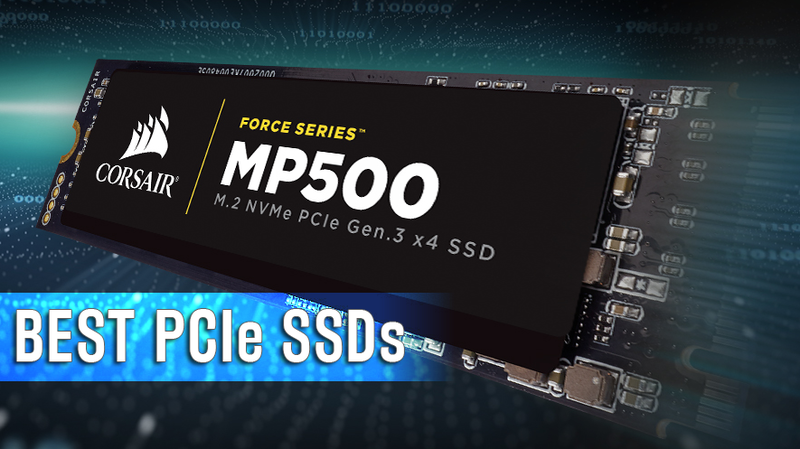 This M.2 PCIe SSD packs some serious performance. The MLC (Multi-Level-Cell) V-NAND flash memory architecture stores two bits of data per cell, arranging the memory cells in a 3D array within each physical block of memory. And that’s just the beginning. The Polaris controller developed by Samsung, using an eight-channel chip with five processing cores. Next, we have Samsung’s TurboWrite technology, which creates a high-performance write buffer that simulates SLC This gives. When the SSD is idle, TurboWrite transfers the buffered data into storage memory. Samsung didn’t stop there, though–the 960 PRO also has the Magician, a monitoring system that lets you manage and maintain the drive, turning encryption on and off, and managing over provisioning. It also automatically updates the firmware for optimal performance. If you need high capacity and top-notch performance, this is it. It is also one of the most expensive per GB of capacity. If you have the budget, this may well be the best PCIe SSD for you. This M.2 PCIe SSD packs some great performance for a little less money. The 960 EVO uses TLC (Triple-Layer-Cell) V-NAND architecture instead of MLC, storing 3 bits of data per cell. This architecture allows Samsung to build these memory blocks on the same machines as the 960 Pro. The 960 EVO uses the same Polaris controller and TurboWrite technology as the 960 PRO, getting the benefits of both. While it’s big brother runs like a Formula I racecar, it may be difficult to really see a performance difference between the two. Unless you’re playing 3 MMORPGs at the same time, you might settle for this as the best PCIe SSD for your system. Corsair has been around for awhile, manufacturing DRAM and USB flash memory, along with numerous other hardware and computer peripheral products. More recently, they have also thrown their hat in the M.2/NVMe ring with this model, using the latest technology. What’s most surprising about this model is a cost per GB that is equal to the Samsung 960 PRO. If you were paying close attention, you may also notice some specs identical to the MyDigitalSSD BPX SSD. Like MyDigitalSSD, Corsair partnered with Phison to get the MP500 SSD to market. While this SSD performs better, it may not be worth the additional $0.24/GB cost. This offering is from a company that has only been around for about nine years, making its name with flash memory for a wide variety of consumer electronics, including notebooks, DSLR cameras, and HD camcorders. MyDigital may not be a household name, but it produces a solid, affordable product. 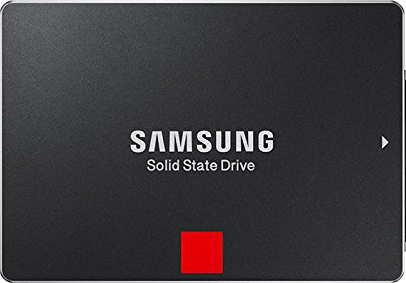 Samsung may have the most expensive M.2 NVMe SSD on the market right now, but they’re still making SSDs at affordable prices, too. The SM951 is no exception. With up to 2.2GB/s reads and 1.5GB/s writes, it does pretty well. Be sure to pay close attention to the part numbers, though–Samsung produced to variants, one with AHCI and one with M.2 PCIe. To tell them apart, look closely at the part number. If the part number begins with MZHPV, it’s AHCI. If the part number begins with MZVPV, it’s M.2 PCIe. Also, booting may be an issue with this SSD. Carefully go over your motherboard specs and BIOS/UEFI to make sure the PM951 will run on your system. If you like easy-peasy installation and setup, this may not be the best PCIe SSD for you. The Black product line is Western Digital’s premium line, reserved for only the best products it has to offer. The Black PCIe SSD is the Western Digital’s entry into the growing NVMe market. Developed in partnership with ASUS, Western Digital aims to provide worry-free performance for gamers. In fact, this is the only product that is developed specifically with gamers in mind. It could be a rough uphill climb, however, with sub-par performance across the board. There are better SSDs for the same price per GB. You may want to look elsewhere to find the best PCIe SSD for your gaming PC. So if you’re using a mobo that doesn’t support m.2 you’re next best option is a SATA III SSD. Therefore we put together a list of the best out there today. This list is ever evolving so feel free to check in on it every once in awhile. The 850 PRO was the first SSD to use the 3D V-NAND memory architecture. It also utilizes Samsung’s Magician software, allowing you to turn encryption on and off, manage over provisioning, and Rapid mode, which, according to Samsung, can boost your I/O. Rapid mode uses up to 25% of available RAM on the host PC as an I/O cache to boost performance. With 16GB or more RAM shipping in new PCs, this translates to a huge performance boost. This may be the most expensive SSD available in the budget class, but it’s worth it. At the top of the mid-range tier, the 850 EVO shares some of the same technology used in the 850 PRO. TurboWrite technology and Rapid mode to really boost performance in this SSD. Samsung Magician software allows you to manage turn encryption on or off, configure overprovisioning, and use Rapid mode. If you’re looking for a more affordable alternative to the 960 PRO, this may be it. 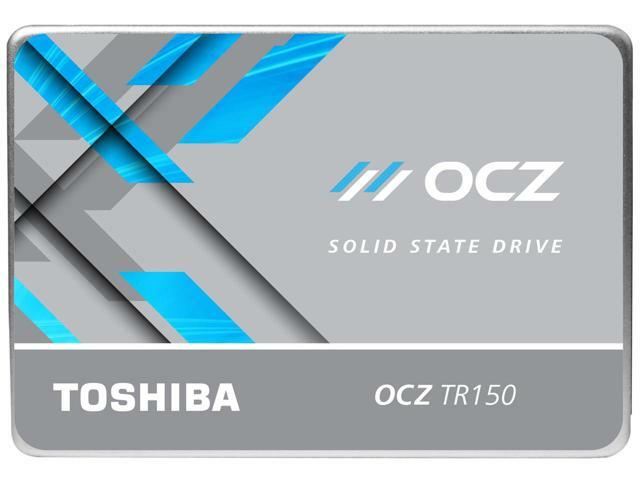 The Trion 150 is the second generation of Toshiba’s OCZ SSD. 15nm TLC replaces the slower 19nm TLC of the Trion 100, a definite improvement. 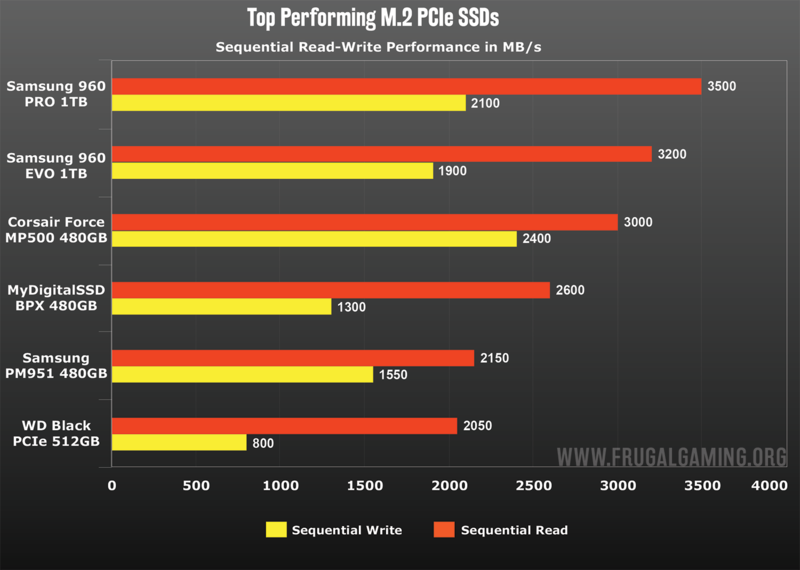 That’s not all, though–OCZ performed a little magic on its firmware to enable writes directly to the NAND dies. This can provide a boost of up to 50%, which makes for a drive that can compete better in the entry-level SSD market. 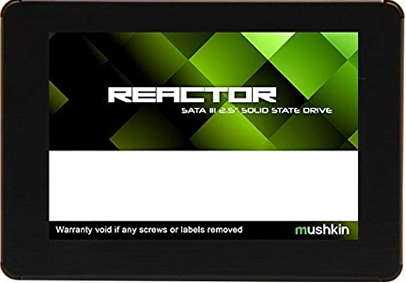 Mushkin brings us the Reactor SATA III SSD, with Silicon Motion’s SM2246EN controller and Micron’s 16nm MLC NAND. The Reactor SSD is a budget drive, and as such, doesn’t offer any memory management software. Currently, the Reactor SSD is only available with a 1TB capacity. Recently, Mushkin released its 256GB and 512GB models. While there aren’t any outstanding features for this budget drive, the Mushkin Reactor SSD a solid offering, if a bit more expensive than smaller SSDs. It may be worth looking at the Reactor 256GB or 512GB instead. 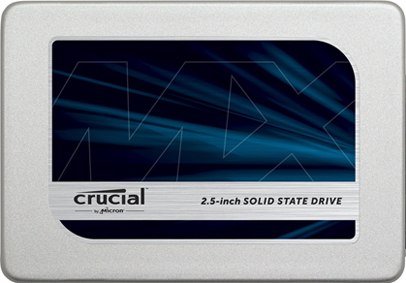 Micron is the second company to begin using 3D NAND flash, and debuts it in the Crucial MX300. To accomplish this, Micron partnered with Intel to produce this new technology. Consequently, it is much different than Samsung’s 3D V-NAND memory. The rest of the industry has moved to a charge trap memory cell design, while Micron is sticking with the original switch with floating gate cell design. Samsung’s original 3D NAND architecture hit the market with a 32-layer, 86Gb MLC die and 128Gb TLC, whereas Intel/Micron’s initial effort on 32-layer 3D NAND is an MLC component with a capacity of 256Gb and a TLC component of 384Gb, making for a large die. Unlike some competitors, Micron is going all 3D NAND with its new products. 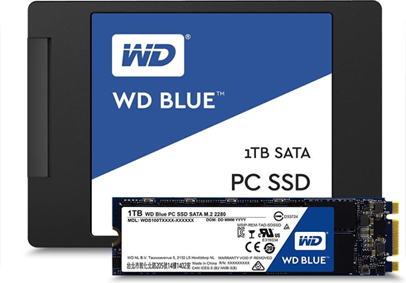 A solid competitor in the entry-level market, the Western Digital Blue SSD offers better performance at a budget price. The 500GB Blue SSD uses the Marvell 88SS1074 4-channel controller, which supports LDPC (low-density parity check) error correction. For memory, this SSD is running the SanDisk 15nm TLC. A Western Digital version of SanDisk’s SSD Dashboard is available for download after purchase. 3D NAND memory technology will continue to evolve as manufacturers look for ways to improve performance and longevity. As motherboard manufacturers begin to add BIOS support for M.2 and NVMe, we can expect a surge in demand for high-performance SSDs. It may require a wait, though, given that 3D NAND wafers are in short supply. Hopefully, this situation will change during 2017, making it easier for SSD manufacturers to bring new products to market, and make it easier to find the best PCIe SSD for you. But, until then, maybe you should check out another one of our buyer’s guides!